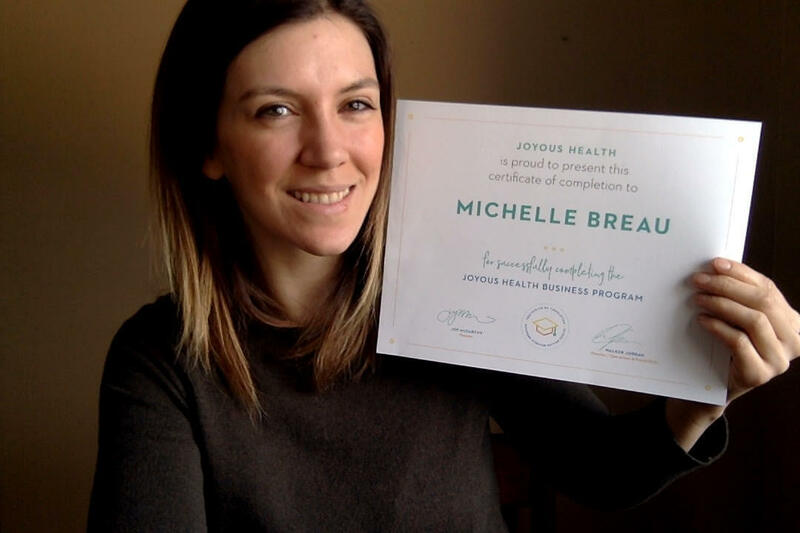 I recently interviewed Michelle Breau, a grad from the Joyous Health Business Program to find out what she's up to. I would have absolutley loved to meet Michelle in person for this interview, like I did with Britt,but since we live a few hours apart, we did it over email. 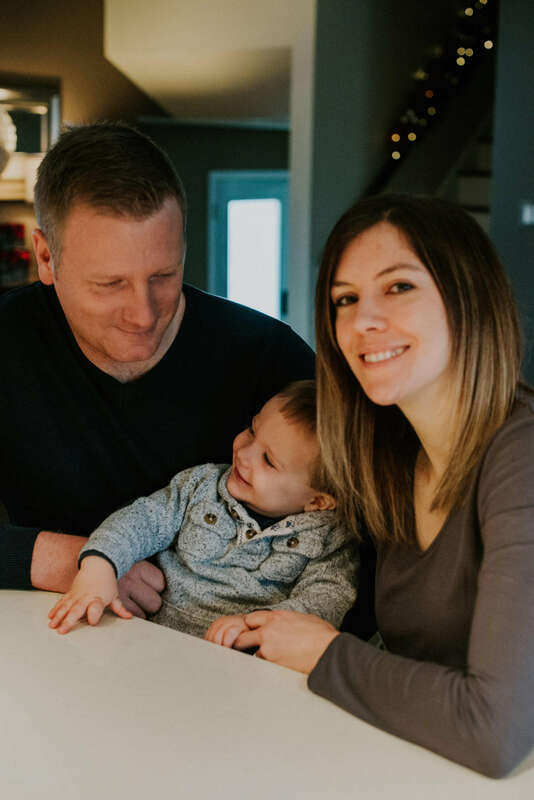 As you will soon read, Michelle is a mom and entrepreneur paving her own path to success! She has accomplished a LOT in a short amount of time because as she says, she "TOOK ACTION". In other words, she's in the driver's seat of her own success. Way to go Michelle! Enjoy this interview with Michelle. Well, hi there! 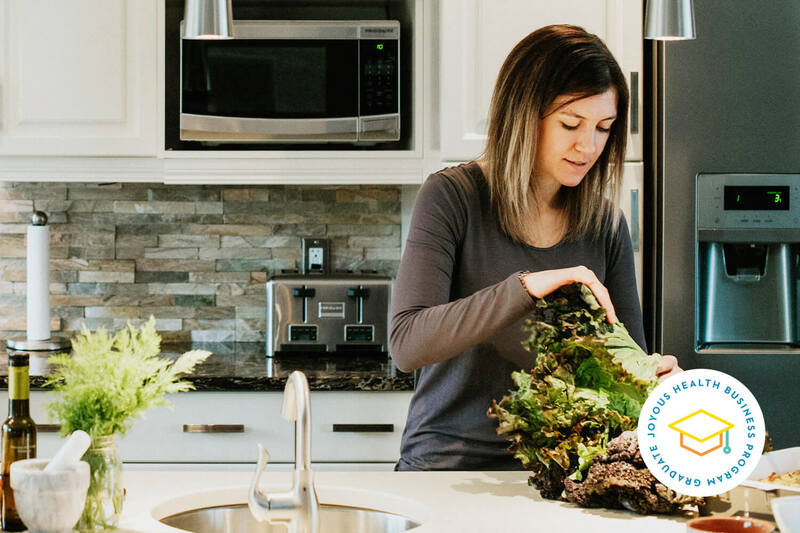 My name is Michelle Breau and I’m a Holistic Nutritionist based out of the Ottawa Valley in Canada. I’m originally from Nova Scotia but I moved here back in 2012 for my hubs’ work (military). We have a 2-year old little man, Nathan, and a miniature dachshund, Maggie! My business is called Unite Wellness and is mostly virtual. This means I have 1:1 nutrition clients all over Canada & the USA! I chose this type of business for a few reasons. First of all, I didn’t want to be confined to being able to only help my local population. I wanted people everywhere to have access to the support I offer, whether they lived in a big city or a small fishing village! Second of all, with a husband in the military, we could be posted anywhere at any time. This means we could get a phone call and within a few months, be packing up our belongings to move to a new home. Having the flexibility of a virtual practice means I can work from absolutely anywhere in the world! Why wouldn’t I love it? :) I have no doubt in my mind that I’m in the right line of work, because when a client says, “That really cool trick you shared has changed my life” my whole heart lights up! Being able to help and connect people with information that can change the course of their lives is an absolute privilege that I am eternally grateful for! My day usually starts when I hear a little boy babbling away in his crib! After getting him ready and whisking him away to daycare, I start my day by setting an intention. I have a little pink notebook that I call my,“Good Book” and I write all things positive in it, be it affirmations, goals or intentions. Taking just 5 minutes of uninterrupted time for myself to be grateful for what I’ve got and to set an intention for where I want to go has made a profound impact in my daily life! After this, I start what I refer to as my “Power Hour,” which is basically just an hour I set aside to be in the zone! I check my calendar for the day, answer emails, engage on social media and update my editorial calendar. It’s a time for me to check off all the little tasks that would otherwise overwhelm me throughout the day! The rest of my day depends on what day of the week it is. I have days set aside to work 1:1 with clients, and I have other days where I focus solely on content creation such as blog posts, online programs, ebooks. I find that by splitting it up so I am working on ONE thing for a long chunk of time rather than a bunch of things throughout the day, I can be more laser focused on the task at hand and can accomplish a lot more! After Nate goes down to bed, I am either doing a bit of writing, spending 1:1 time with my hubby, or taking some time for self-care, which for me is all about LEARNING! I can almost always be found with my nose in a new book before bed! Why did you sign up for the Joyous Health Business program? I wanted to be part of JHB because there always seemed to be something holding me back from starting my business. But they provided information in all of the different aspects of business that I felt uncertain about. What did you love the most about the Joyous Health Business program? In my mind, I thought that I wasn’t ready to start my business because I didn’t have the right systems in place, but JHB helped to fill in those blanks. Before doing the program, I realized FEAR was the biggest thing that was holding me back – fear that I’d fail, fear of the unknown, and fear that people just wouldn’t want to hear about the things I wanted to share. As I completed each module of the program, suddenly I found confidence in my abilities and finally started plugging away. Website? Check! Scheduling software? Check! New logo and branding? Check check! 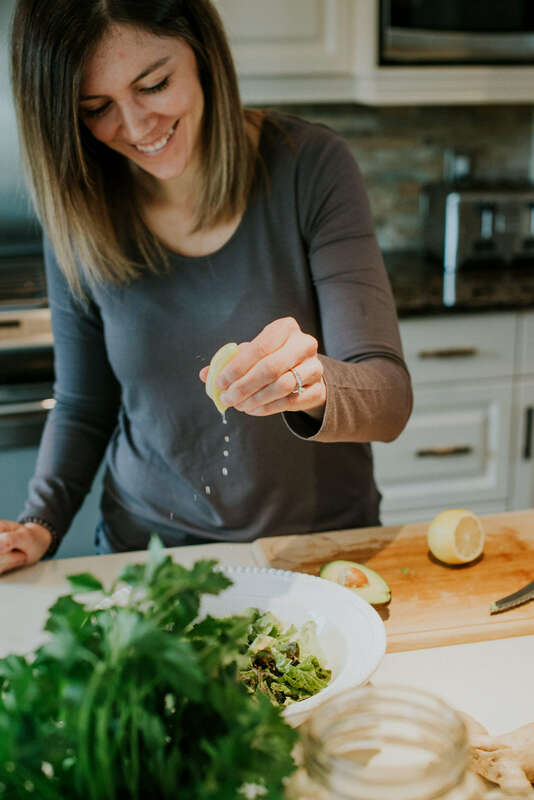 Thanks to the Joyous Health Business program, I started to do the one thing I could never seem to do before: I TOOK ACTION. ... and this was all before I officially launched my business on February 1st! The biggest piece of advice I can give is to JUST START! 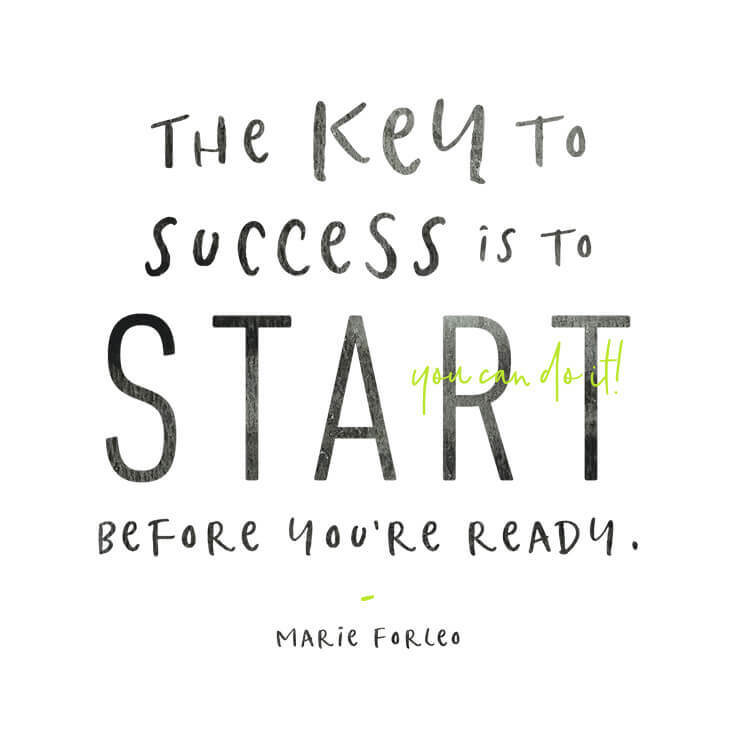 If you’re worried about starting, it means you’re passionate about what you do. It means that your dreams matter. Instead of over-analyzing every detail and letting them keep you from getting started, ask yourself, “What is ONE thing I can do today to help me move closer to launch day?” Don’t let the giant to-do list overwhelm you! Just take it one step at a time and all of the pieces will come together. I’d also recommend choosing a launch date and sticking to it! Not only will this excite your community, but it will light a fire under your tushie to start checking things off your to-do list! As lame as this sounds, I really love to read and learn new things. My current obsession has been on quantum physics, genetics and neuroscience. As of late, I've also been obsessed with all of the books by Dr. Joe Dispenza , especially, “Breaking the Habit of Being Yourself.” He also has some great lectures on YouTube if you’re into that sort of thing! I am also a huge lover of tending to my vegetable garden! I usually have one every summer, but you might find it funny to learn that I’m terrible when it comes to flower gardening! I spend time away from all electronics and get outside! There is something really wonderful about spending time in nature or at the park with the people (and fur animal) that I love. It truly brings my head and heart back if I ever need to recharge my batteries! Unfortunately, we experience some CRAZY cold weather in the wintertime (hello, minus 40! ), so the park isn’t exactly an option this time of year! In order to not go completely stir crazy, we go for lots of walks on a local indoor track, do yoga, and build blanket forts! I want to raise a healthy and happy little boy, help A LOT of people who need it and write a book! Eventually, I would love to see Unite Wellness become a brand that people recognize and trust as a large contributor to the wellness industry. Can you relate or do you have questions about Michelle's entrepreneurial journey? Leave your thoughts in the comments below! This story was very fun to read and very inspiring. I’m proud of Michelle even though I don’t know her. It’s helpful for me to read this story because I’ve had an itch to enter into the wellness field, and I haven’t figured out exactly where my contribution will make the biggest difference, and bring me joy. Loving the quote you shared. Best Wishes! Thanks Vivian!! I'd say if you've got an itch, listen to it! :) Go girl!